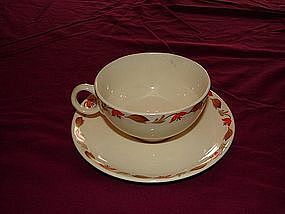 Universal coffee cup and saucer, Ballerina pattern. Marked Universal Union Made in The USA. I was going to throw this away and saw the Union Made in the USA and knew it had to be old. Probably rare, to be union made. Mint condition.